A magical place for a birthday, a new twist to the family reunion, family friendly outing for the company picnic! Have it all to yourself or unlimited use during public hours. Private use of the Carousel. Available April through November. Use of 1 table within Carousel pavilion and 2 picnic tables just outside the pavilion. Fees: Any Monday OR during off-season (early spring & fall) - $100/1st hr, $75/ea. added hr. 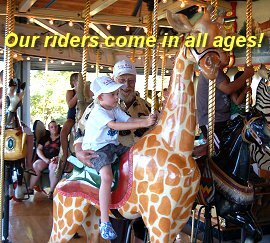 During the Carousel Season: The hour(s) prior to opening or immediately after closing - $75 per hour. Open Hours Rental - Available anytime the Carousel is open May through September! Reserved picnic tables during rental time, as well as 15 minutes before and after rental. Up to 12 guest riders - $40/hr., $25 each added hour. 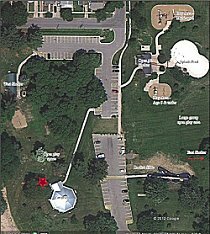 13 - 20 guest riders - $50/hr., $30 each added hour. Big Time Fun! - Unlimited rides & riders! Schools & Non-Profit Groups: $50/hr. Private or For Profit Groups: $65/hr. Two reserved picnic tables outside of the pavilion, shown at star location. 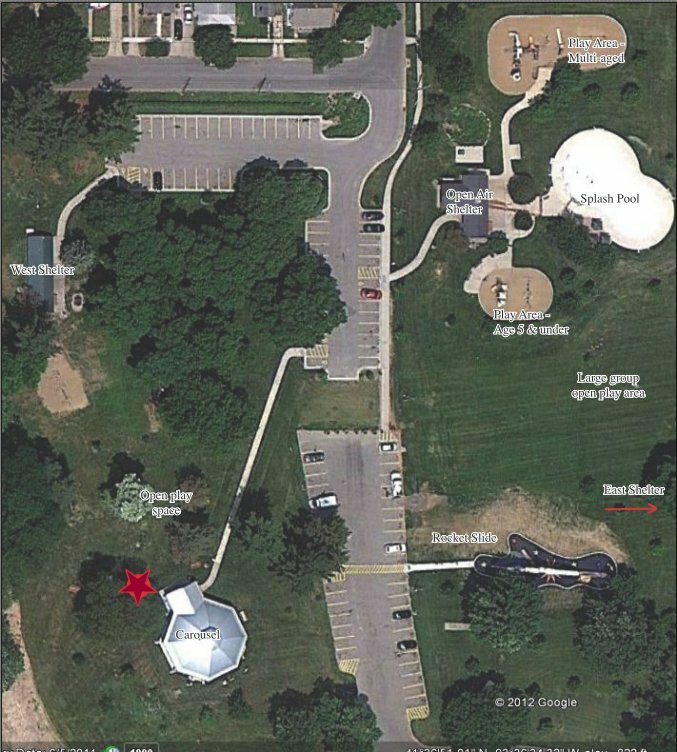 Shelters may be rented through the Des Moines Park & Recreation Department. Check our Events Calendar to view events & reservations at the Carousel! The Carousel can accommodate several group rentals at one time during public hours.